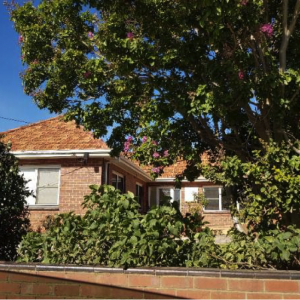 A recent building and pest inspection in Werribee had our House Inspections team attending a property in Melbourne’s west. The purpose of the inspection was to identify any major defects and safety hazards associated with the property at the time of the inspection. With one of the biggest financial investments being the purchasing of a home for you and your family, it is important to know the condition of the property you’ve decided to buy before taking over ownership. For anyone contemplating buying a pre-existing home, we highly recommend obtaining a building and pest inspection prior to signing any paperwork. This type of inspection can assist in identifying any major and minor risks within and around the home, providing recommendations on repairs that need to be made to help you avoid any surprises once you’ve moved in. A building and pest inspection will typically assess the structural integrity of all interior and exterior areas of the property including all roof and underfloor spaces. This inspection will also identify any traces of pest infestations. Upon conducting our building and pest inspection Werribee, our team of qualified house inspectors identified several major and minor issues. Within the areas inspected our team used comparisons of similar buildings of approximately the same age and construction that have been reasonably well maintained to identify the severity of the issues identified. The general condition of the house was rated below average as there was a high frequency of major defects identified. Major defects of the Werribee property included the deterioration of the mortar between brickwork which can cause brickwork to become unsteady and collapse. No connection between the flow pipe to the hot water service and the stormwater system that affects the timber pest management of the property. Inadequate drainage to the front verandah and back of the enclosed garage, which can create unstable foundations and may have an adverse structural effect to the dwelling. Finally the current bituminous damp proof coursing will need to be replaced as this type proof is no longer effective. House Inspections Melbourne recommends that a Rising Damp specialist to stop this from becoming a future problem. Without a building and pest inspection prior to our client purchasing this property, several hidden defects hidden would have gone undetected. Our team of experts inspectors ensured the client was provided with a comprehensive report, outlining exactly what needs to be fixed on the property, saving time and unnecessary costs after they move in. If you’re thinking of purchasing a pre-owned home, contact one of our friendly inspectors and set up a building and pest inspection today.